Hello friends! I hope you’re all doing lovely today! Some of you have asked me about my naturopathy studies and how that’s going, so I thought I would write about that today! Wikipedia has a really great discussion of the history of naturopathy, which actually started thousands of years ago from the teachings of some of the ancient Greeks. In essence, naturopathy is a form of alternative medicine which focuses on natural practices and self-healing. It also encompasses homeopathy, herbalism, and acupuncture, as well as diet and lifestyle counselling. I decided to study naturopathy and become a naturopath for two big reasons. First, I love people and want to help those in need get better. Second, I have always been attracted to the natural side of things. I totally understand that traditional medications have their place (like in a life or death situation) but if the situation isn’t urgent we should be giving the body what it needs to heal itself. I am due to finish my studies pretty soon, and am super excited about starting my practice. My mom has some friends with established naturopathy practices and I have an opportunity to work with them and learn from them, which will be perfect for starting out! What is your passion? I would love to hear from you! My New Favourite Yoga Class! Hello internet! I went to a great yoga class yesterday and wanted to tell you about it! The class was a combination of yin yoga, hot yoga, and assisted movements, and I thought it was incredible (in part because I am studying for my exams and it provided much needed stress relief)! For those of you who are new to yoga, let me tell you about each of these styles of yoga. Yin yoga is a slow, contemplative yoga style that involves holding stretches for extended periods of time. The goal is to increase flexibility in the body by stretching the “fascia”, which is essentially a second skin which is like a sheath that envelopes muscles. Hot yoga is basically normal yoga except it takes place in a hot or warm room, which is generally heated by a dry heater rather than steam. This can make for a very hot yoga class if the class involves plenty of movement, or it can make for a warmer but OK class if the class involves less movement. I have had classes of both varieties. Sometimes hot yoga classes can be overwhelming if there are plenty of movements – doing yoga poses is hard enough in a room with normal temperature! In this case, it was a yin class so it involved whole lot less movement than a normal class. That made the heat quite welcome, not like a nemesis in a more strenuous class! The heat is also perfect for yin classes, since the heat warms up the fascia and helps the body stretch more than it could have. Finally, assisted yoga is a class where the instructor actually helps push you into certain poses to enhance the stretch. This isn’t just a little adjustment here or there – it is full on in most cases! For example, the instructor pressed down on my lower back with most of her weight while I was in child pose, which helped open up my lower back (tight from all that studying) and actually felt great! What’s your favourite kind of yoga? I would love to hear from you! I’m Estelle – So Pleased to Meet You! I first started practicing yoga when I moved to Seattle for school a few years ago. I was immediately drawn to the physical aspects of the practice – I have always worked to stay in shape and yoga really helped keep my body toned and strong. In those early days, I didn’t appreciate the meditative aspect of yoga all that much. To be completely honest, sometimes the “corpse pose” at the end of class felt like naptime in kindergarten. I was keen to get out and be active! As time passed, I grew to appreciate and value the meditation more and more. Looking back, I realise that it took time for me to learn how to do it properly. At the start I would always find that my mind wandered to all the things I wanted to do after class. As a result, it never did much for me. However, when I finally learned to let go and sink into the meditation by thinking of nothing, I immediately began appreciating the health benefits. Today, I can enter a meditative state quite quickly and 10 minutes worth of meditation can feel like an eternity when I emerge – which is a sure sign that I am getting much more benefit out of it! Over the years I have participated in many yoga challenges over month-long periods of even longer. 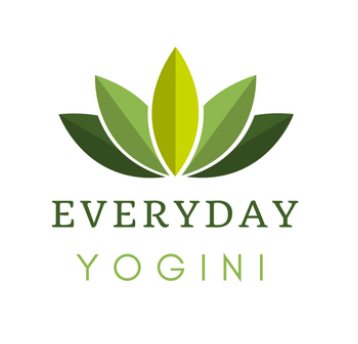 I enjoyed those a lot and so have made yoga an everyday practice – hence the name of my blog, Everyday Yogini! I can’t wait to share more with you about my love of yoga, my naturopathy studies, and my life! Are you a yogi as well? How often do you practice? Here is a great discussion of how to mediate properly for those who are interested!